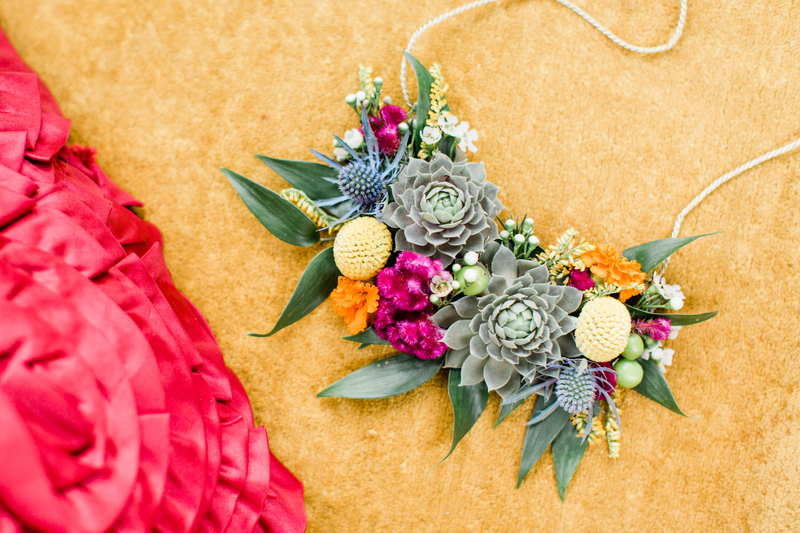 Let’s rethink the corsage and boutonniere. They have been around for decades… centuries, maybe? But that doesn’t mean we need to continue making them the same way. I have shared many times that I now make wrist corsages on bracelet cuffs. They are more versatile, easier to make (in my opinion), and most importantly–much more comfortable. Those uncomfortable elastic banded corsages we all wore to prom need to go. We can now have comfort and beauty at the same time. 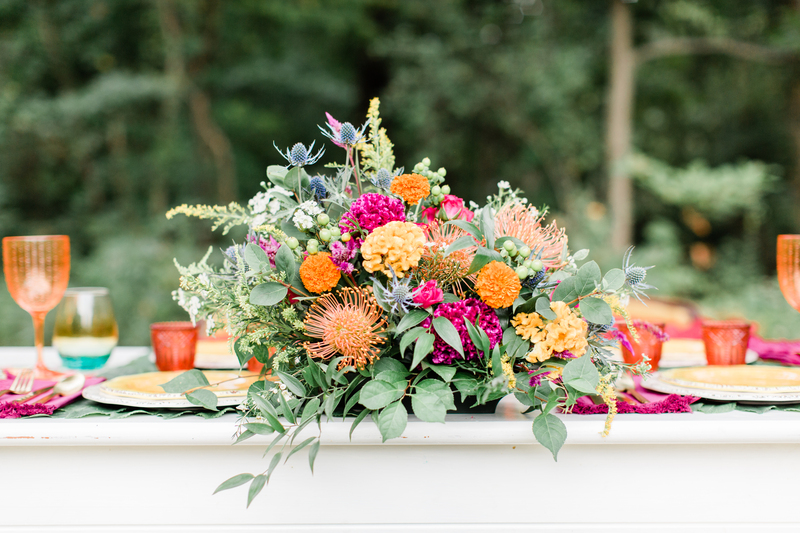 But we can go beyond the corsage and boutonniere, too. 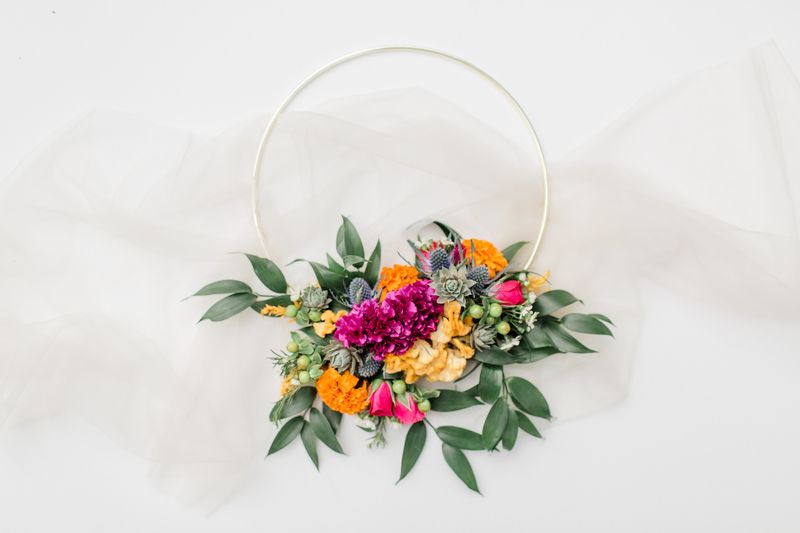 I was excited to collaborate on this floral wearable photo shoot for Engaged River Valley to stretch my creative muscles but also to show you some of the possibilities. 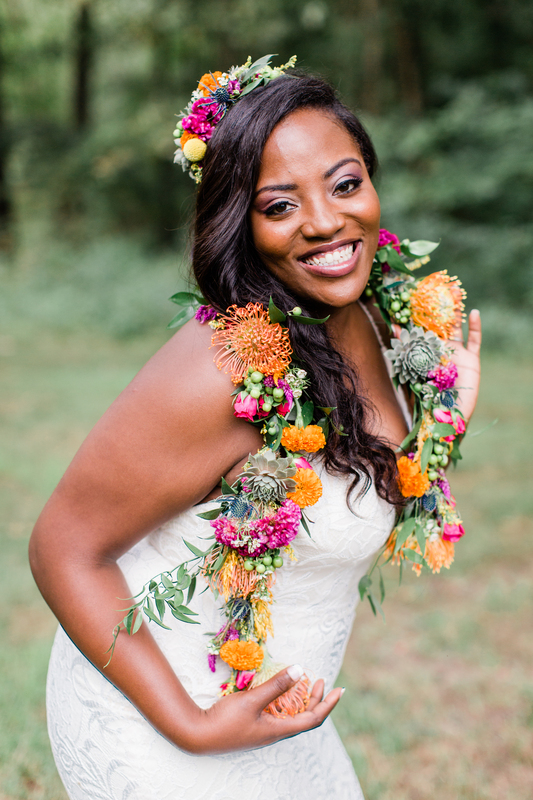 Want to wear statement flowers in your hair but a flower crown is not your style? How about a headband? I chose to concentrate the flowers on this headband on the side but you could also have a headband with flowers across. 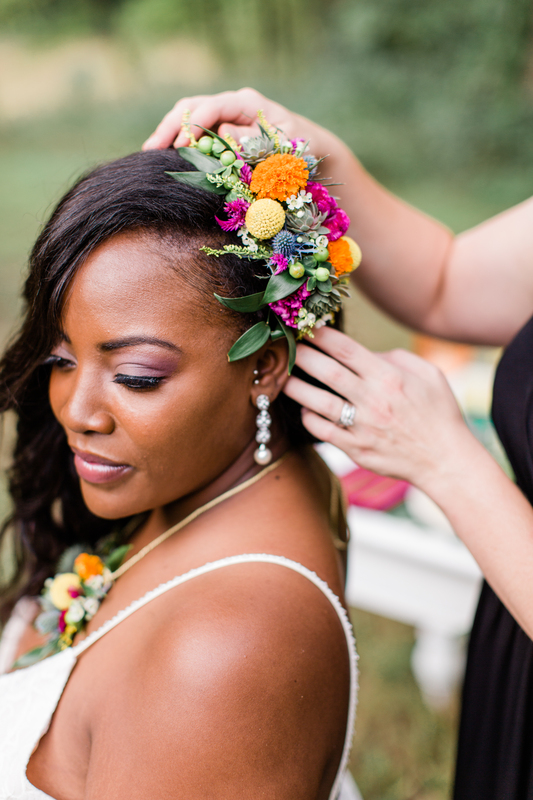 Hair combs are another possibility for adding flowers to your hair. Necklaces aren’t just made with precious metals and stones! Why not wear your flowers around your neck? 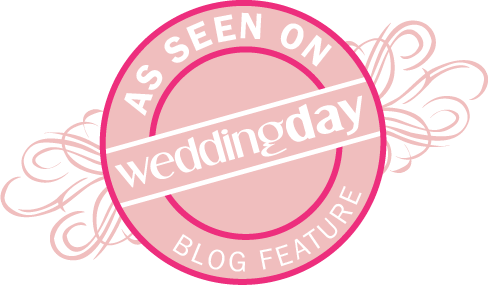 Want something beyond the necklace? 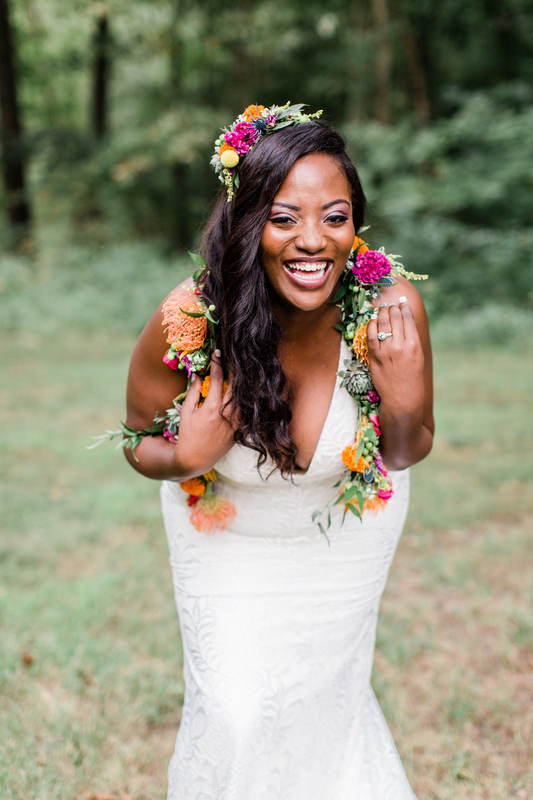 Try a floral boa! 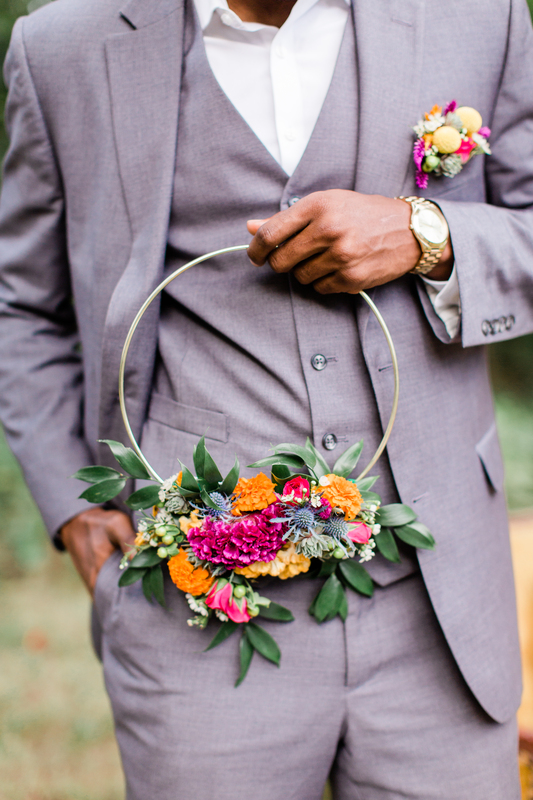 An alternative to the traditional bouquet is the hoop bouquet. 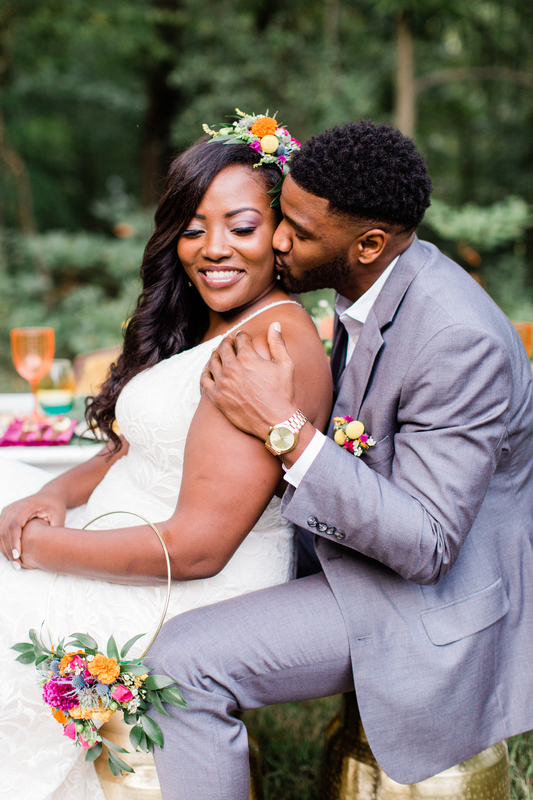 These are becoming more and more popular for brides, maids, and flower girls and are especially popular in boho styled weddings. 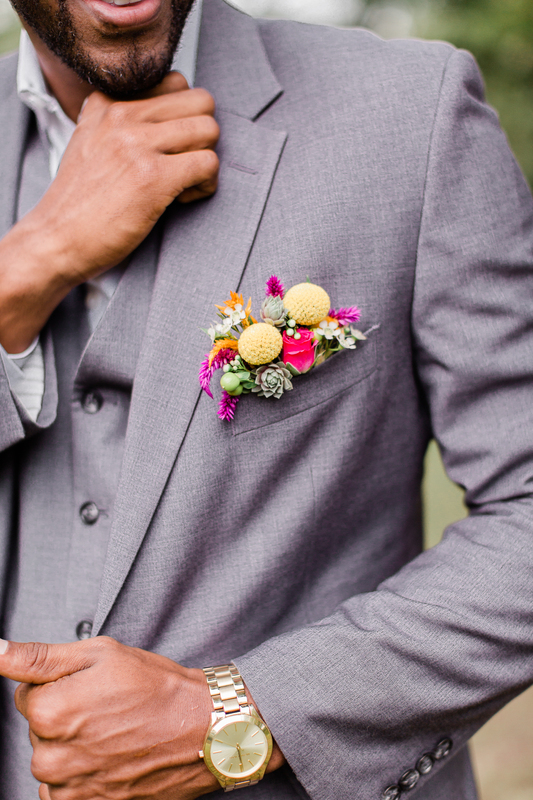 Back to that boutonniere… What about a floral pocket square instead? The possibilities are endless. Which is your favorite? 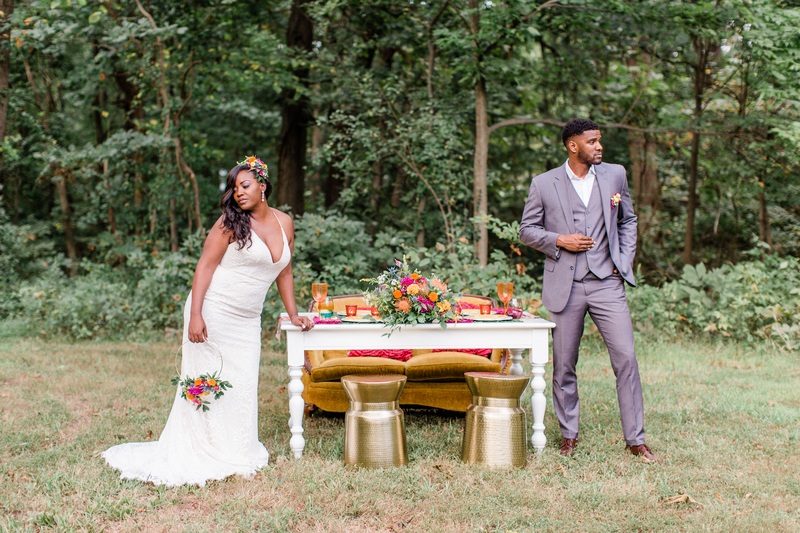 Thank you to the talented local vendors who collaborated on this shoot! 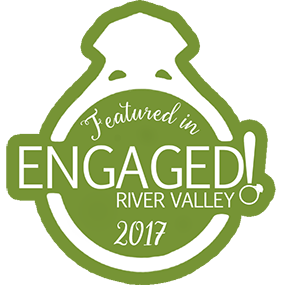 You can find more in the Fall 2018 Edition of Engaged River Valley.